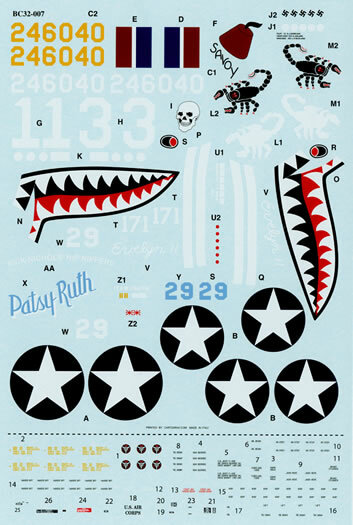 BC32007 is the final of the new 1/32 scale P-40 sheets in the latest series of releases from Roy Sutherland’s BarracudaCals decal company. 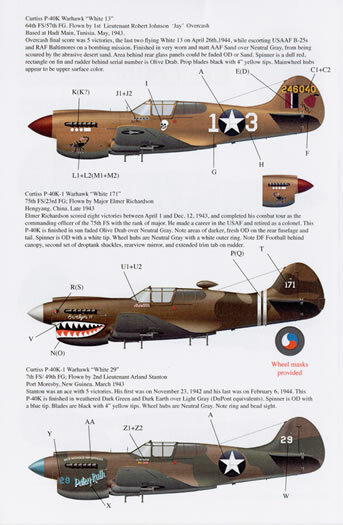 It appears that Roy is working his way upwards through the P-40 series having moved on from the P–40E. 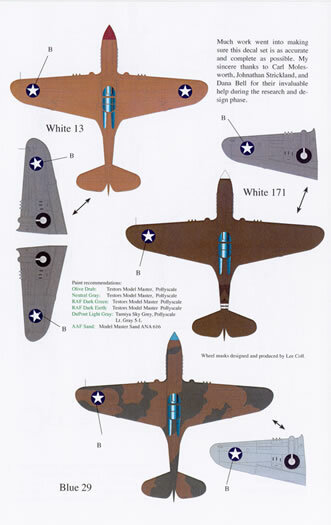 This sheet provides markings for three Curtiss P-40K Warhawks. ‘Evelyn’, plane in squadron number 171 flown by Major Elmer Richardson of the 75th Fighter Squadron 23rd Fighter Group from Hengyang, China in late 1943. 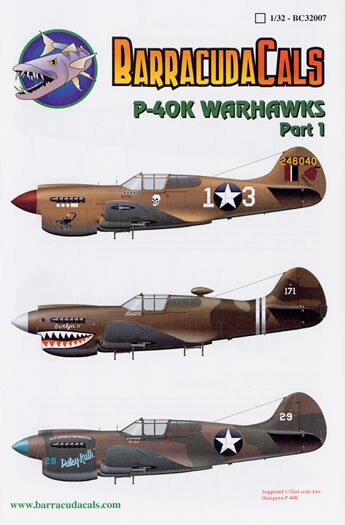 The aircraft is in a faded olive drab over neutral grey camouflage scheme with fresh (and darker) olive drab areas on the rear fuselage, fin and rudder. The spinner is part white and part olive drab and it sports both a shark mouth on its nose and twin white bands around its rear fuselage. 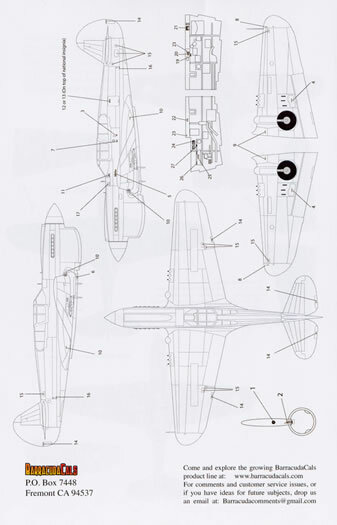 The plane in squadron number 171 is worn on the fin and five ‘kill’ markings are worn under the cockpit. 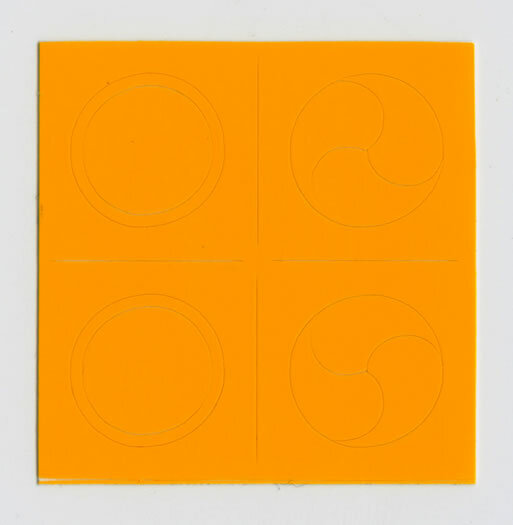 The placement guide advises that the wheel covers were neutral grey yet there is a scrap view showing that it wore red, white and blue segmented ones and there is also a small vinyl mask set provided to realise this. I suspect that this is an error and a hang over from the 48007 sheet which featured an aircraft which wore this design. The suggested kit is the new Hasegawa one.